You simply cannot beat clever creative advertising, our agency love working on advertising campaigns that let us test our imaginations and enable us to push the boundaries, and here is a great example of creative advertising. The designers at CuCo all agree this creative campaign idea by global advertising agency BBDO is fantastic. 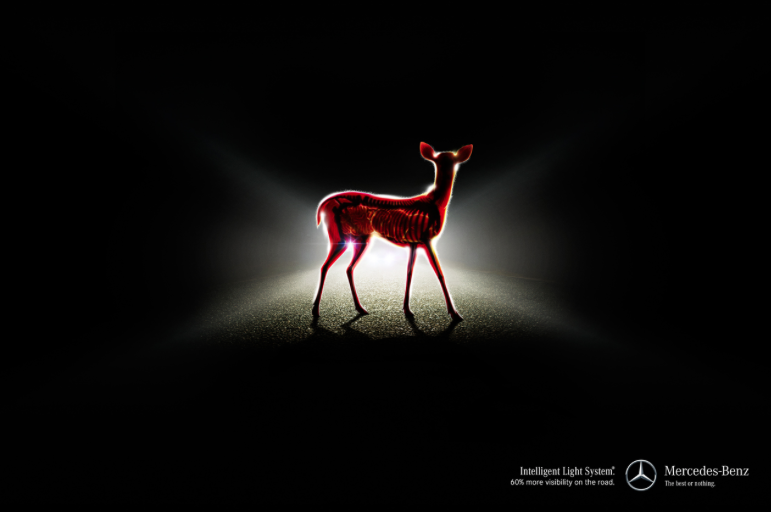 BBDO were commissioned by Mercedes-Benz to promote their new Intelligent Light System. The two print ads that make up the campaign showcase the car manufacturer’s new System which gives drivers 60% more visibility on the road. 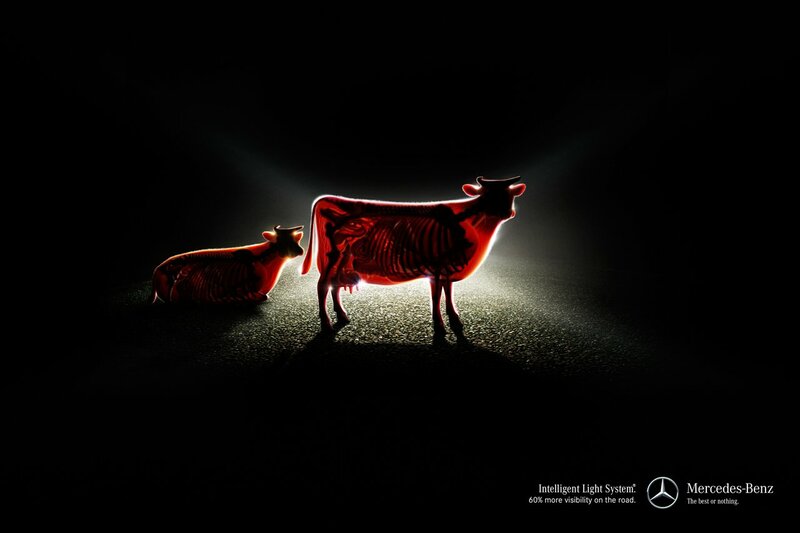 The design is brilliantly executed through BBDO’s creative concept which showcases a Mercedes’ headlights, fitted with the new system, shining straight through the bodies of a cow and a deer. The idea is that the lights are so powerful and provide so much extra visibility that they create ‘X-Ray vision’ of the two animals. A fantastically simple yet extremely clever and creative concept, the CuCo Team love it! Check them out and let us know your thoughts! CuCo Creative have been designing advertising campaigns in the automotive industry since day one, working on Mazda, Honda, Suzuki and Mitsubushi. If you are looking to fuel some new ideas for your brand please drop us a line and we can inject some amazing new creative ideas for you.